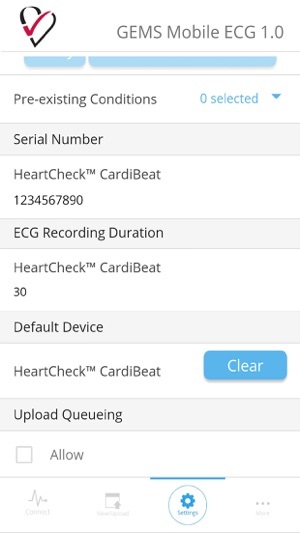 GEMS Mobile is an FDA-cleared mobile app used for recording and managing ECGs using a number of different ECG monitors. 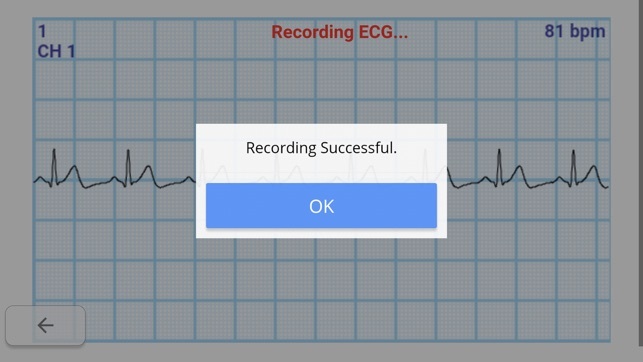 It is intended to be used by consumers without the need for a prescription and is based on the same ECG software that is used and trusted by physicians in hospitals across North America. 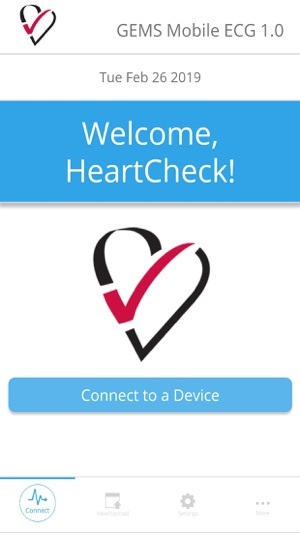 GEMS Mobile is free for download with the purchase of a HeartCheck device. 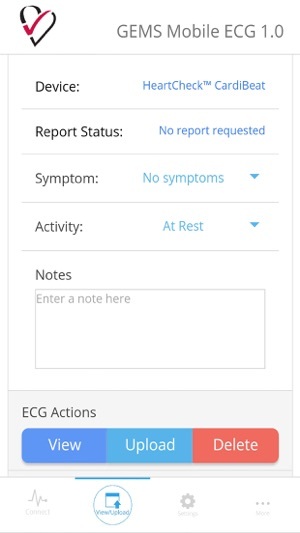 When paired with a HeartCheck ECG device, GEM Mobile allows you to view, print and send your ECG for medical review. Professionally reviewed results are available for a fee and are received in as little as 30 minutes. The results can indicate the presence or absence of more than four dozen heart arrhythmias, including atrial fibrillation and QT prolongation. 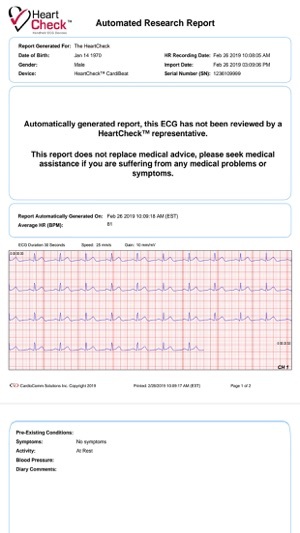 You can also see your ECG print out in near real time at no additional cost to be shared with a healthcare professional. One time set up is easy and GEMS Mobile ensures the safety of your data and the protection of your smart phone/device through the use of the latest technologies that our hospital customers demand. All supported ECG devices are hand-held, Bluetooth connected and with long lasting battery life. They are also very compact and easy to carry anywhere. 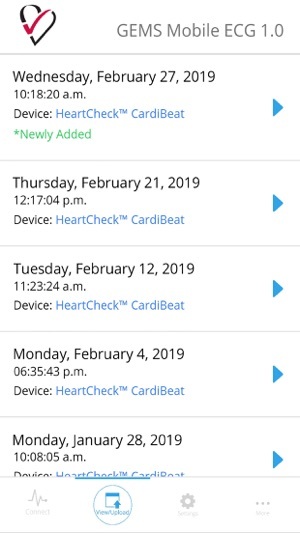 © 2019 Cardiocomm Solutions, Inc.